At Kaizen, we know exactly how important promoting your business is. It’s what drives your revenue, pulling customers in with clever advertising that turns heads and puts as many eyes as possible on your business. We also understand the demands of advertising and promotional work. So long slaving over the design only to be delivered a million flyers which you then have to try to hand to passers-by outside in the howling wind and pouring rain. It’s enough to make you question why you started your business in the first place. Of course, there are other ways to get eyes on your business. Whether you put up posters, a billboard or even hand out a brochure or business cards, whatever your promotional tactic might be, Kaizen have the solution to your problems. Our express delivery A3 and A4 posters are a perfect example of the tailored service we provide our customers on a daily basis. So how exactly does a poster help to advertise your business? And what advantage does one delivered within a few days have over the standard edition? Well, using posters means no more standing on the street trying to hand out flyers, instead you can put your feet up knowing that your logo, design or slogan is up there in big letters for as many passers-by as possible to see. You can really put them anywhere, even associating with other local businesses to put them in their shop window. We can print on either 130gsm or 170gsm paper weights in uncoated or silk form. We’d recommend our 170gsm silk version for something a little more hard wearing and durable enough to handle the British weather. Available in either A3 or A4 size from just one day delivery, with larger sizes going up to A0 available from a day extra. Prices start from just £15 for 25 units single sided, however we also offer a double sided option, so you can have twice the value and advertising power. As with all Kaizen products, our express delivery posters are designed and printed to the highest possible standard using our top of the range printing technology. We ensure a vibrant, colourful and high-quality finish to our posters to guarantee that your business will stand out from the crowd in any situation. Our express poster printing service offers the opportunity to start promoting your business within just one day. Picture the scene: you have a product which perhaps hasn’t sold as well as you’d hoped or perhaps there’s been a mistake with the order and you’ve been left with an oversized amount of stock. You want to make sure that you can shift these quickly and for a reasonable price. You could get the marker and the paper out, but wouldn’t that hurt the credibility and professional nature of your operation? Kaizen offers you a fantastic opportunity to create a 100% customisable piece of advertising or promotional material which is sure to make your business stand out from the competition. 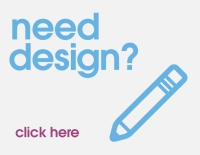 Our expert design team is on hand to answer any queries or offer any design assistance you may require.